ARE YOU A hungry vegan tired of scouring menus in hopes of a good meal? Your kitchen at home is well-stocked, but when out, you’re at the mercy of forces beyond your control? Luckily, San Francisco is a health-conscious, critter-loving city with diverse tastes. Here are some top spots to grab vegan food, from trendy restaurants to quick and easy delis. Why we love this place: Choosing from Valencia corridor’s insane assortment of eateries can be tough sometimes, but Indochine’s entirely vegan Vietnamese menu stands out among the crowd. While it does include a few Western options (the Champion Burger is a good hangover cure, and the fries are some of the best around), their Asian options are your best bet. Our favorites are the Heavenly Salad (tofu, cabbage, carrots, herbs and crushed peanuts), the Eggplant Tofu, and the Mongolian Delight. 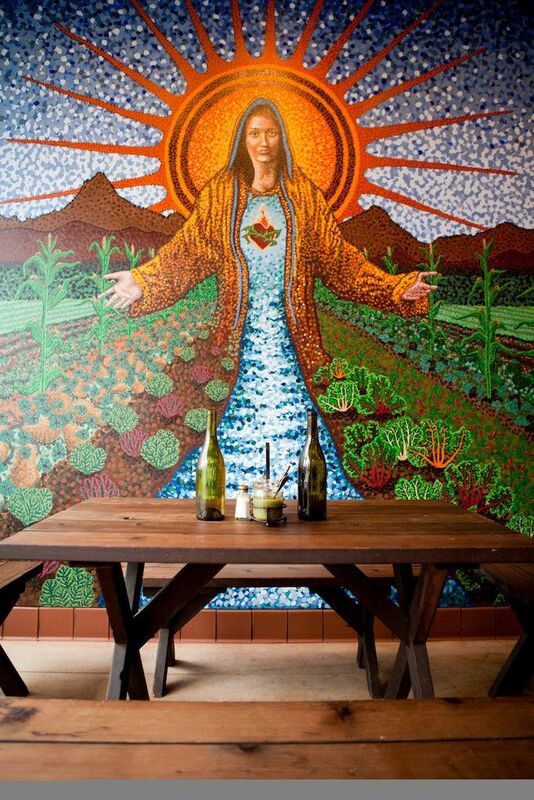 Why we love this place: Gracias Madre attempts to nourish your body and soul, a very San Francisco notion. A prayer displayed on the wall and a striking outdoor mural of the Virgin Mary displays their dedication to the “divine feminine”. Most importantly, the food is delicious. Try the fried plantains with mole and cashew cream sauce or the popular Enchiladas Verdes with sautéed greens. For dessert, the peach cobbler wins (peaches are harvested from the owner’s private farm). Like many Mission District restaurants, you’ll need a reservation unless you’re ok with a 45-minute wait. Why we love this place: Run by devotees of an Indian guru, the fantastic Ananda Fuara’s name means “Fountain of Delight”. Inside, the sky-blue walls, plants, and fountain make it a peaceful place for lunch in this busy area. While the menu is plant-based but not entirely vegan, there are plenty of options to choose from — the meatloaf sandwich (you’ll need to request it vegan) is a go-to for hungry regulars, as is the chocolate cake. Their brunch — served on weekends from 11:00 AM – 3:00 PM — includes your choice of pumpkin, banana, or gingerbread pancakes. 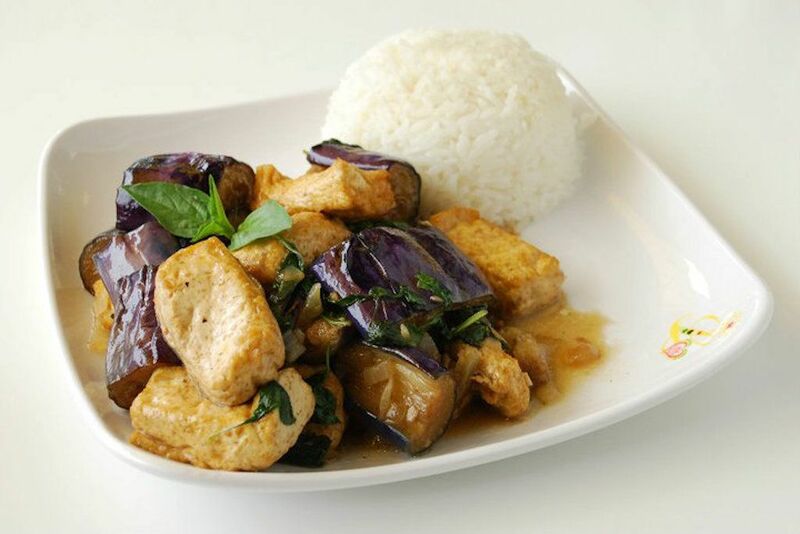 Why we love this place: Serving exclusively vegan fare, Loving Hut is the winner of multiple local awards for good reason: a solid menu of delicious Asian and Western dishes. Its friendly, casual atmosphere is nice for catching up with a friend or reading a book. Start with delicious fresh spring rolls, then go family-style with spicy noodle soup, lemongrass deluxe, and sesame bites. Their pamphlets on vegan lifestyle and ideals are part of the appeal. 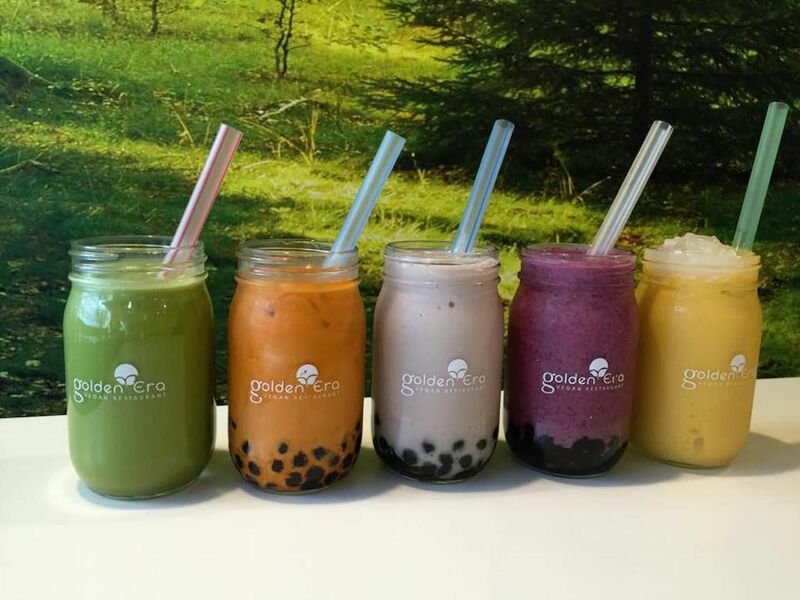 Why we love this place: Golden Era has been drawing in hordes of hungry vegans on their lunch breaks, study breaks, or dinner dates for many years. 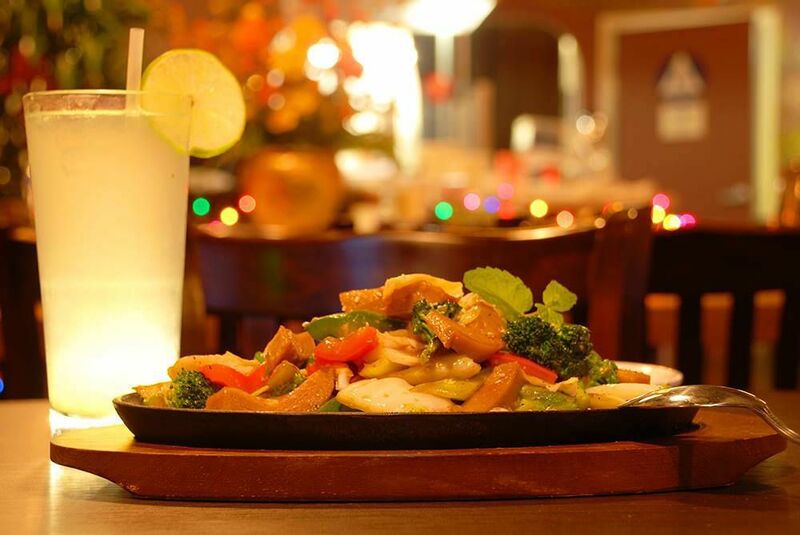 They’re well-known for an extensive pan-Asian menu featuring rolls, soups, claypots, fried noodles and more. Fill up on Spicy Asian Stew or Sautéed Jalapeno Tofu. Service is great and the neighborhood, while gritty, is up and coming. 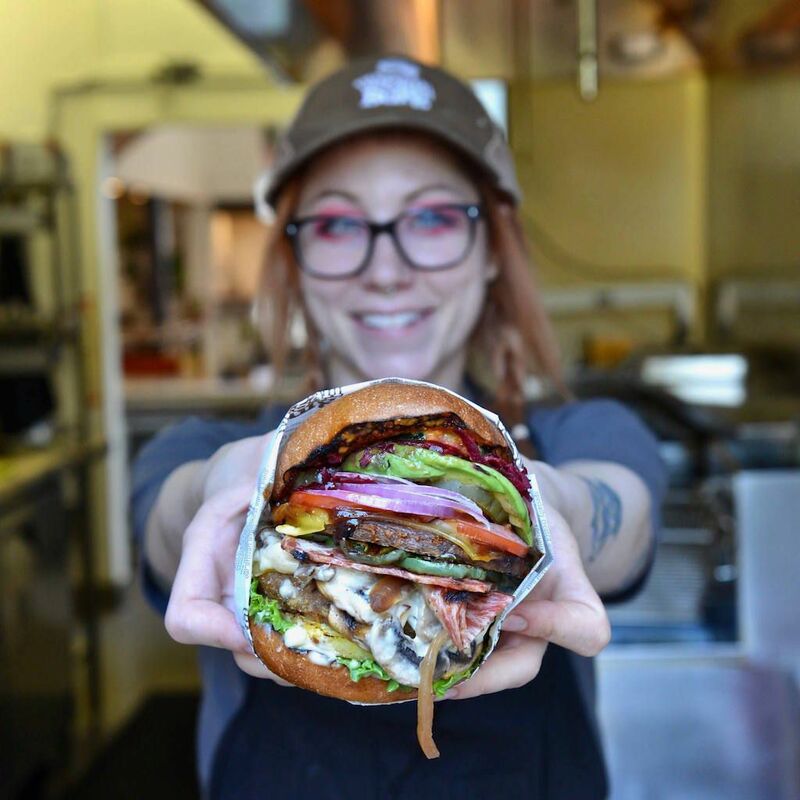 Address: 395 Golden Gate Ave.
Why we love this place: What’s not to love about cheap, delicious vegan sandwiches that fill you up? No more scanning a pastrami-filled deli menu for substitutions and conjure ways to get enough sustenance to fuel you until dinner. The faux-meats at Love N Haight are delicious — the smoked “duck” is very popular. Bring cash — like most places on this little strip, they don’t accept cards. Why we love this place: Sometimes you just get tired of everything being (and tasting) so damn healthy. If you’re craving something you can pretend is junk food (sans ground beef of questionable origin), a veggie burger is in order. Vegan Burg doesn’t waste your time with your average veggie patty slapped on a bun. Try the Haight ‘N Salsa, with pico de gallo and lemon-juice marinated onions or if you need your veggies, the Avocado Beetroot burger. 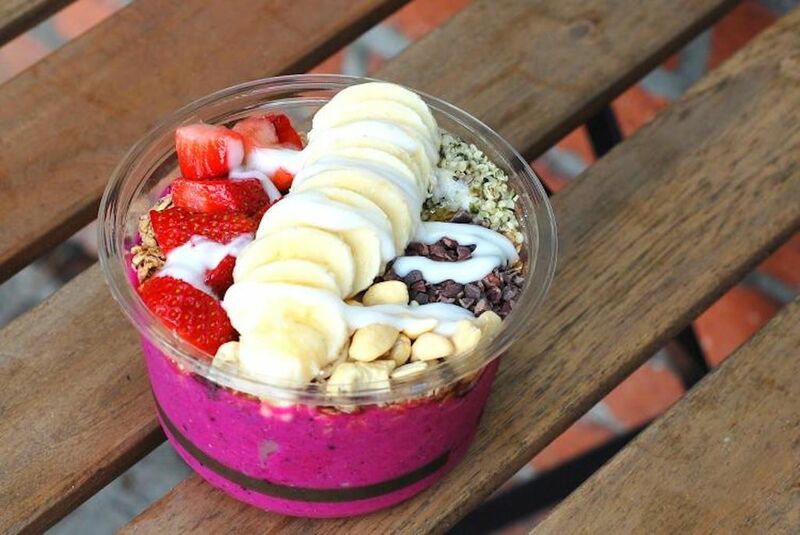 Why we love this place: Apart from fresh juices for your cleansing and detoxing needs, Project Juice has some pretty tasty grab-and-go raw foods, bowls, and smoothies. The Acai Superberry bowl, with Paleo-style toppings (including cacao nibs, bee pollen, and local honey) is ridiculously healthy and refreshing. We also love the Protein Soba Noodles with sweet potatoes and tamarind-almond sauce.